Multnomah County Drainage District Interior Drainage Analysis Review (OR) | WEST Consultants, Inc.
WEST Consultants is under contract with the Multnomah County Drainage District (MCDD) to provide a variety of services related to their efforts at obtaining recertification of their levee systems. Federal guidelines set forth in 44 CFR 65.10 require an interior drainage analysis be conducted in order to identify the sources and magnitude of flooding within the area protected by the levee system. 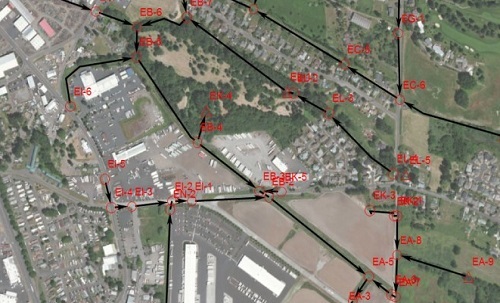 Peninsula Drainage Districts No.s 1 & 2 were each modeled by MCDD using xpswmm to determine the effectiveness of their drainage and conveyance systems and to delineate the limits of ponding during the 1% annual-chance flood event. MCDD instructed WEST to conduct a technical peer-review of the modeling analysis and provide comment regarding the analysis approach and results. Each analysis was reviewed and through a series of comment and revision processes, the interior drainage modeling was completed so as to satisfy the requirements of 44 CFR 65.10.